This is our best selling Chimney Balloon and has filled many hundreds of thousands of chimneys over the years. It makes us happy to think of how many homes it has helped to keep warm. 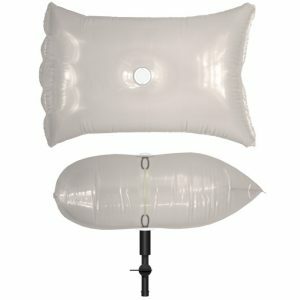 This Chimney Balloon fits openings that are 10″ – 14″ deep and 19 – 25″ wide (25 – 36cm deep & 48 – 64cm wide). If you’re not sure what size to get then have a look at our sizing chart. 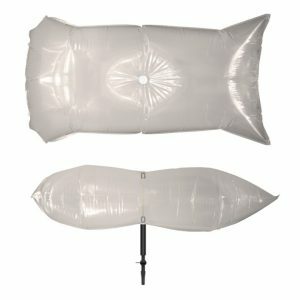 It comes without a mouth inflation tube – if you’ve got an airbed pump or suchlike then you won’t need one. 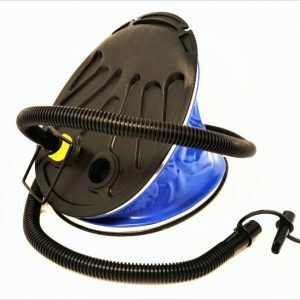 If you haven’t got one then you’ll need to add a pump or mouth inflation tube to your order. Our Medium Chimney Balloon fits a wide range of chimneys. It is one of our original sizes and is the one that’s most popular with customers. It’s definitely our most versatile product! 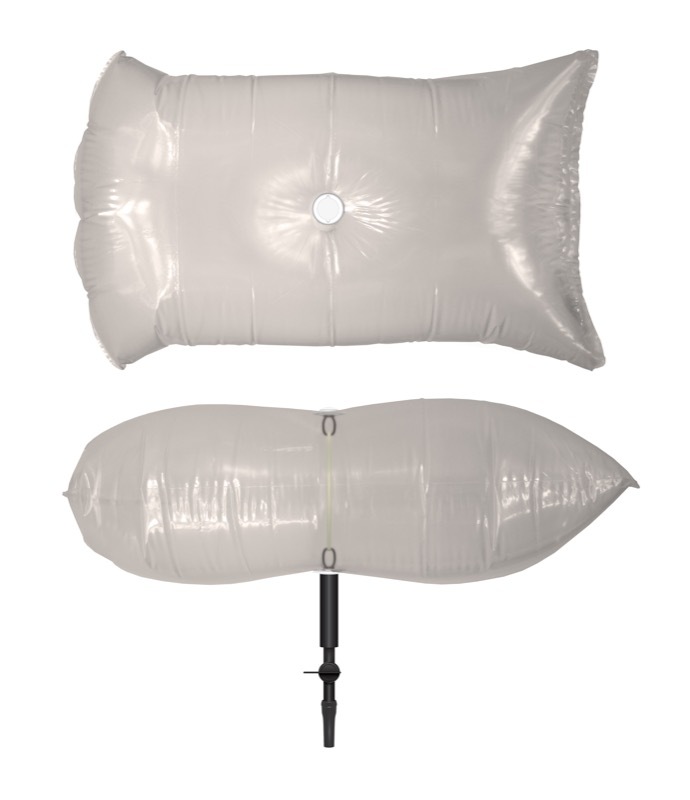 Although there is no such thing as a universal size for Chimney Balloons, this is the size of the PVC copies that claim to be a universal fit. Why is there no such thing as a universal size for inflatable chimney draught excluders? Please don’t waste your money on a product that claims to be a universal fit. I’m afraid it’s just not that easy, and for two reasons. One is that chimney flues vary from being the size of a bean can to the size of a door, and there just isn’t a material that is stretchy enough and strong enough and versatile enough to be an effective fit for the full range from smallest to biggest of flue sizes. Secondly, although the name Chimney Balloon and all the cleverly crafted imitation names would make you think that they were stretchy like balloons, in fact they are not. Our Original and Best Chimney Balloons Made in the UK by lovely people at the Watford Workshop are a bit stretchier than the PVC copies but that’s more to do with the cleverness of the rubber band-and-connectors mechanism that allows them to stretch outwards and upwards, as the tri-laminate plastic’s job is to be tough and durable not stretchy. An inflatable chimney draught excluder will not stretch to fit all chimneys so you’ll have to get an idea of the dimensions of your chimney first. Can you tell what size Chimney Balloon I need from the age of my house? I wish I could but I’m afraid once again the answer is that isn’t as simple as that. Chimneys can vary even within the same house. We often get customers telling us what size their neighbour bought, or what age their property is, but we don’t want to sell you the wrong size so it’s necessary to have a look up your chimney and measure the depth and width just to make sure. Your Chimney Balloon will last for years so it’s a chore you’re only going to have to do once, so it’s worth making sure you get it right the first time. It’s easiest to use a head torch for this job. Have a look at the inside of the chimney and decide which is the best spot to fit it. Measure the depth and width, then have a look at our chimney diagrams to decide which best matches yours. Basically the Chimney Balloon abuts against four walls, but it can go in vertically or at an angle. Use our sizing chart to make sure you’ve got the right size, and if you’re not sure give us a call on 01900 817109 or drop us an email at info@chimneyballoon.co.uk. 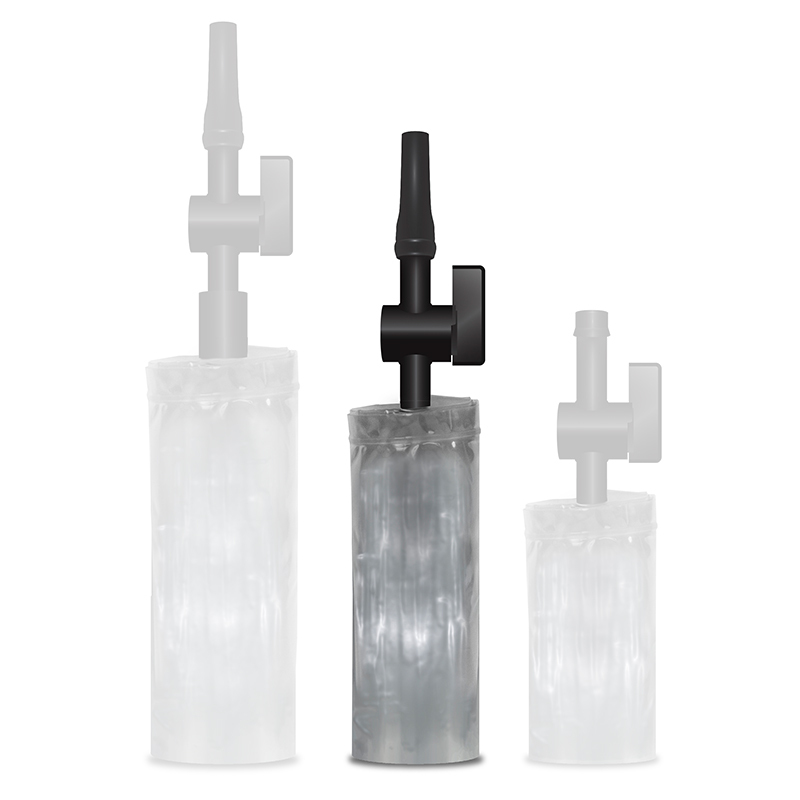 Make sure the bit you are measuring can be easily accessed using the pump or mouth inflation tube. If you think the best place to fit it is a bit higher up then use the hand grip extension kit to give you an extra 16″ (40cm) of reach. What are the benefits of fitting a Chimney Draught Excluder? If you think that 80 cubic metres of air are travelling up your chimney per hour (Building Research Establishment figures) then all that air needs to be replaced so cold air is pulled in from other leaky parts of the building. By blocking the chimney you will significantly reduce the airflow and reduce the draughts coming in from other places. We’ve had lots of feedback from happy customers who have reported noticing an immediate benefit after fitting a Chimney Balloon in their chimney. But don’t stop there! Cold air has a way of sneaking in though a myriad of routes – have a look at our other draught exclusion products while you’re shopping for your Chimney Balloon, and find out more draught-proofing tips here.